The Buhler Experimental Mill is the most popular laboratory scale flour mill. 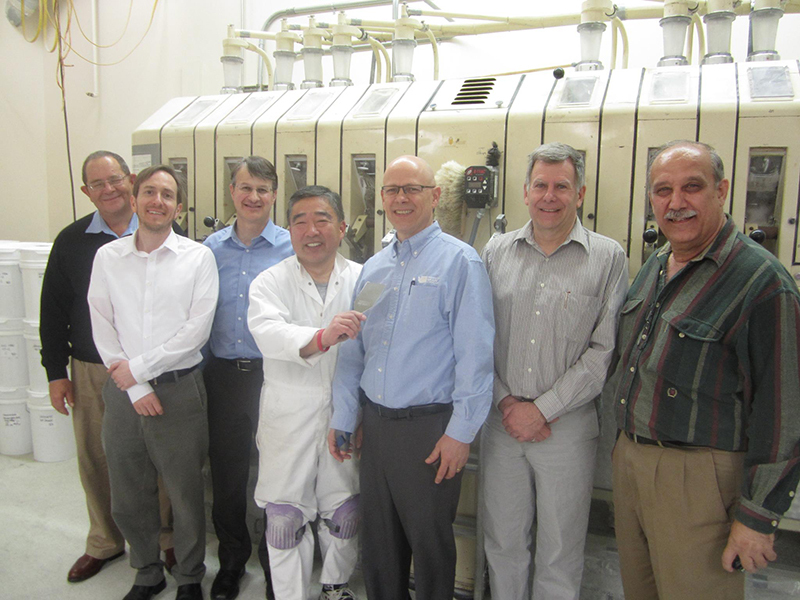 It facilitates our evaluation of smaller wheat samples for milling quality and produces white flour for flour, dough, and end product testing. 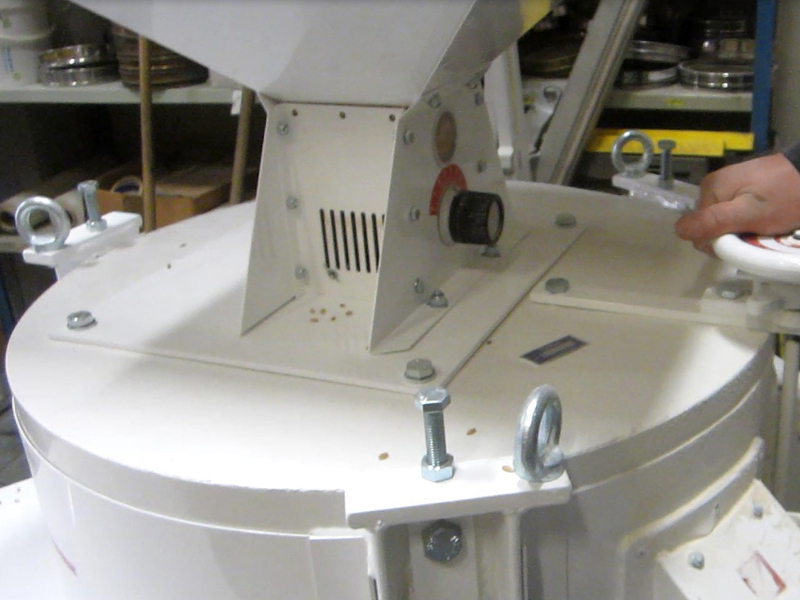 The Miag Multomat Mill is a pilot scale flour mill that can mill up to 600 lbs of wheat in a day. The output of the mill is more closely related to a large scale industrial mill. It produces ten white flour streams for research purposes. 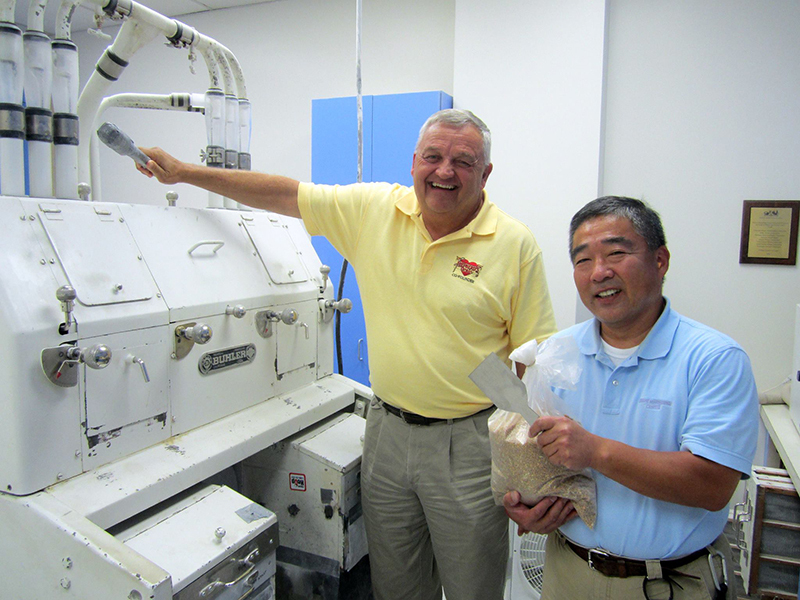 The Engsko Stone Mill is the most recent addition to our milling equipment (and thanks to the Montana Wheat and Barley Committee for its financial support.) The Engsko mill produces stone ground flour with wide ranges of bran inclusion using different sifting sieves. This mill will enhance our research capabilities related to improving whole grain end products and expand technical training options.